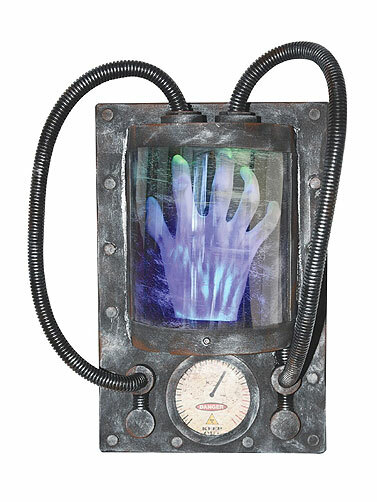 This Animated Hand Regenerator prop will make an electrifying decoration for your Halloween laboratory or similar display. When sound activated, the regenerator lights up, makes high voltage sounds and scary screams. Lightweight foam and plastic construction with blue and green LED lights. Attachment on back for ease in hanging. Uses 3 AA batteries, included. Animated Hand Regenerator measures 15"L x 9"W x 5"H.